Jenson Button has joined Sky Sports F1 to be part of our line-up for the 2019 season. The 2009 world champion was part of Sky's coverage of the British Grand Prix during the 2018 season and will see an increased role with Sky F1 during coverage of all 21 races next year. "I'm incredibly excited to join up with the Sky Sports team again," said Button. 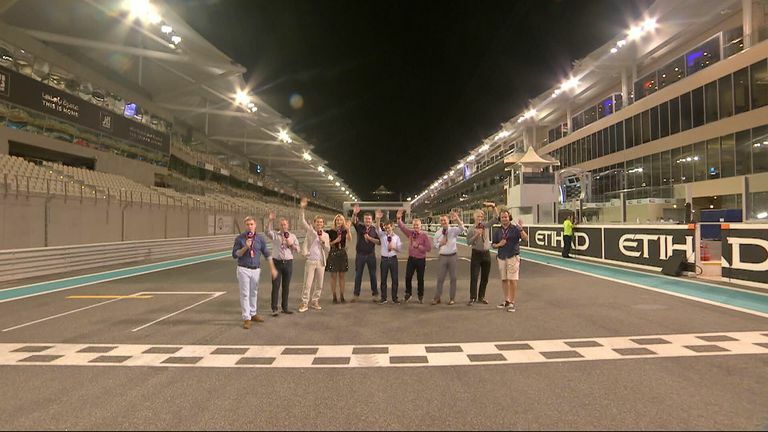 "Working with them at Silverstone this year gave me a taste of television broadcasting, one that I thoroughly enjoyed and look forward to again in 2019." Delighted to be joining the @skysportsf1 team. F1 is a sport I love, a sport I lived for 17 years and a sport I’m excited to help deliver to the fans. Here’s to being back in the paddock very soon! Button, 38, is still very much involved in motor racing, winning the Super GT Championship this month while also competing in the World Endurance Championship and 24 Hours of Le Mans. A winner of 15 grands prix with 50 podium finishes, Button's last F1 race was at last year's Monaco GP for McLaren. Button joins an experienced team of award-winning drivers and pundits including Martin Brundle, Damon Hill, Paul Di Resta, Anthony Davidson, Johnny Herbert, Nico Rosberg, Ted Kravitz, David Croft, Natalie Pinkham, Rachel Brookes, and Simon Lazenby. Simon Lazenby asks the Sky Sports F1 team what they are looking forward to the most for the 2019 season. Scott Young, Head of Formula 1 at Sky Sports, added: "Jenson's arrival is fantastic news for our customers and for motorsport fans. We have a world-class presenting team and we now add the unique insights from another world champion. This will elevate our coverage of Formula 1 in what is our first year of exclusivity in the UK." Sky Sports will broadcast all 21 races in 2019 starting with the Australian Grand Prix on 17 March. Every practice session, qualifying session and race will be shown exclusively live, with the exception of the British Grand Prix.